Online training institution Search Engine College has announced a plan to sponsor selected charities and not-for-profit organizations worldwide, by providing free online training to their staff. We’ve decided to offer 25 charities per year the opportunity to learn online marketing skills at no cost, to help them make the most of their limited marketing budgets. Each year, the College will provide 25 charities and not-for-profits a training coupon that can be redeemed by one of their staff to take a self-study marketing course of their choice to the value of USD 295. It is hoped that the training will assist not-for-profits and charities to more successfully promote their web sites online. "We're thrilled that so many people around the world have benefited from our courses, but we're also aware that many grass-roots charities and not-for-profit sites don't even have a marketing budget, let alone a budget for training," says Kalena Jordan, Director of Studies for Search Engine College. "To make it easier, we've decided to offer 25 charities per year the opportunity to learn online marketing skills at no cost, to help them make the most of their limited marketing budgets." Since its inception in 2004, Search Engine College has set new industry standards for education and training in the field of Search Engine Optimization and Search Engine Marketing by providing online courses to students in 49 countries worldwide. 1) Have a web site. 2) Be registered for at least 12 months. 3) Be listed on CharityNavigator.org, the UK Charity Commission, the NZ Charities Commission or the equivalent charity register in your country. 4) Not have any religious or political affiliations. Quote the phrase "charity training" in the email subject line or comments field. Include your charity / NFP name and web site URL. Include your charity registration number and charity register URL. Include a sentence or two about what course would best benefit your charity and why. If you know of a worthy charity or not-for-profit that might benefit from free online training, please direct them to this release, or have them contact Search Engine College directly. 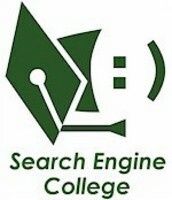 Search Engine College (SEC) is an online training institution offering instructor-led short courses and downloadable self-study courses in Search Engine Optimization and Search Engine Marketing subjects. SEC is owned by Jordan Consulting Group and managed by search engine optimization industry expert Kalena Jordan. SEC employs experienced tutors who are specialized in various aspects of search engine marketing and well-respected in the industry.